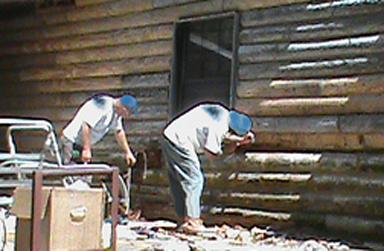 If your existing log home, cabin, or wood-sided home needs some maintenance, count on us to preserve its value and appearance by protecting the wood components. 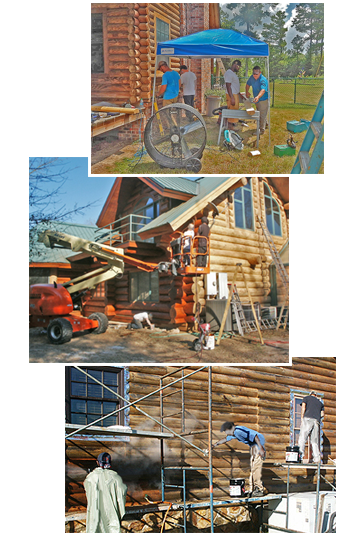 It's as simple as contacting us to schedule an on-site consultation. 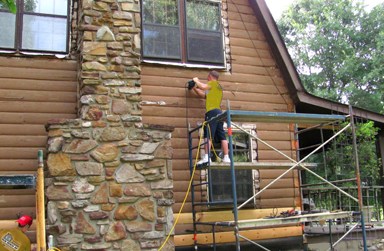 Our exterior log repair and restoration services range from log surface refinishing to complete log replacement.